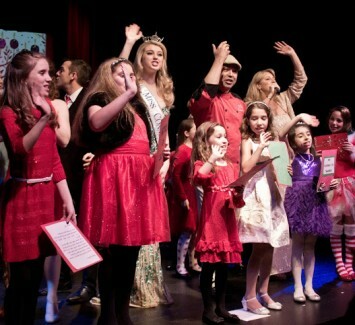 The New Paradigm Theatre (NPT) brings back their popular Holiday show again this year! Broadway performers from The New Paradigm Theatre Company will perform a NYC-esque customized Holiday show on Dec 15th (Saturday) at 8pm and Dec 16th (Sunday) at 3pm. This show not only entertains with Broadway dancers, singers, instrumentalists and Ms Clauz ...with a Z! but it also includes a mentoring outreach component that gives a few lucky local performers the chance to be featured on stage with the performers for this exciting Holiday extravaganza. Along with Broadway pros, Janelle Robinson, Krista Adams Santilli and Kristin Huffman, we are also featuring two of the Hunchback stars, Patrick Tombs and Christian Cardozo. This year we will also be featuring a group from Connecticut Dance.